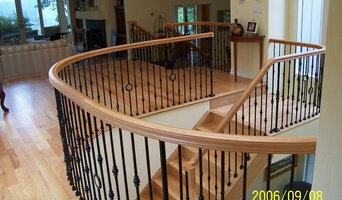 Established in 2001, ALL THINGS INTERIOR is a Martinez based, family run company serving the East Bay Area's residential, commercial, and industrial customers with their Stair, Railing, Wood and Metal Fabrication needs. 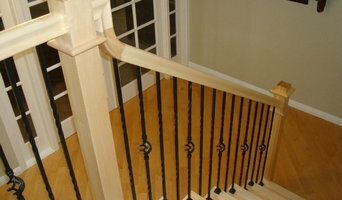 We specialize in the remodeling of staircases to update the look, often by replacing wood balusters with metal balusters. 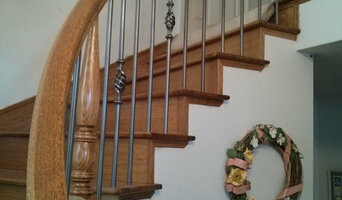 We offer stairs in a wide range of materials many types of wood and metal and a few other exotic materials such as stainless steel. Our unique staff comprises a number of professional construction specialists, artisan's, and true craftsmen with skills akin to that of a master carpenter. 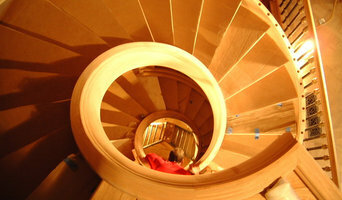 stair building shouldn't be left to the unskilled. However, we are more than stairs. We do, new and re-facing of cabinets, as well as related wood fabricating services. Aesthetic Metals specializes in supply and fabrication of custom made stainless steel railings, fences, driveway gates, staircases, glass railings. Leeway Iron Works, Inc. is a custom metal fabrication shop in San Leandro, California. The shop location in the East Bay allows the company to serve most Northern California counties with professional service for residential and commercial clients. We provide expertise in areas of new construction, retrofitting, repair, renovation and design. Rollin' Along installs and services stair lifts, chair lifts, vehicle lists, ramps, door openers, scooter and wheelchair lifts, and patient transfer lifts in the San Francisco Bay Area, along with other mobility products. Rollin' Along is a family-run business that provides one-on-one personalized service in the comfort of your own home. We will discuss your mobility problems, educate you and your family as to available options and then recommend the best solution.